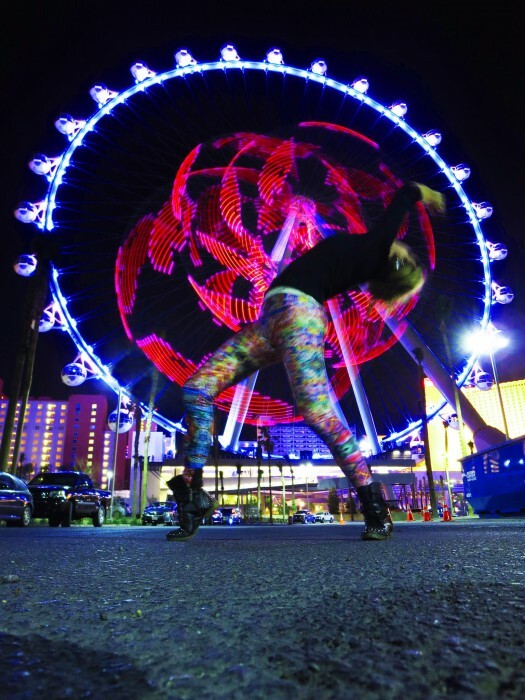 At $495, the Phoenix hoop is not accessible for everyone. For hoopers on a budget, Astral Hoops owner B.J. Nolletti suggests using irrigation tubing and colored tape. But if you want that extra sizzle, he loves LEDs. 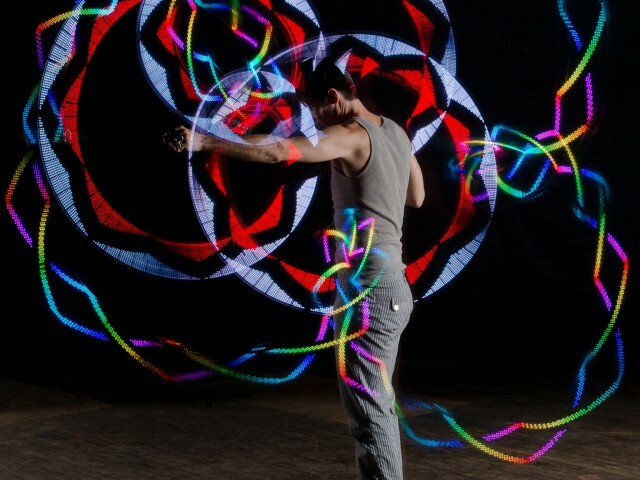 “Hooping with crazy, colorful lights all around you can drift you away to a place of dancing with light,” he says. Nolletti’s hoops range from $125 to $379, and the company offers payment plans. 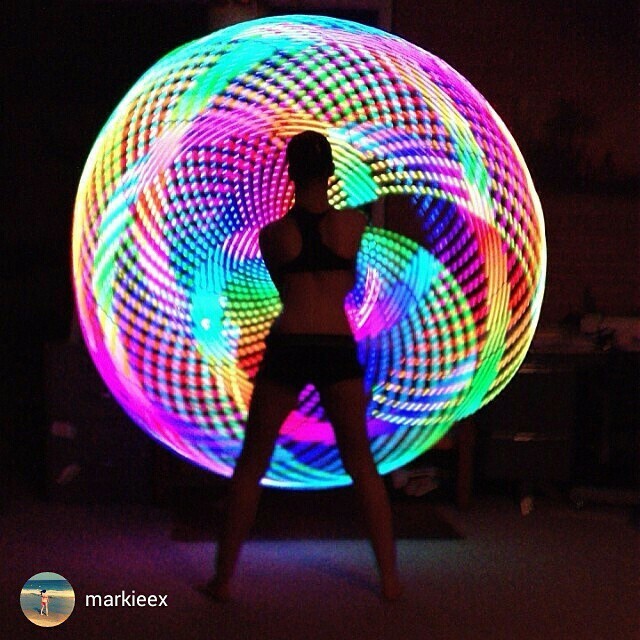 His luxury hoop is the Atomic Evoke, which is completely customizable, including the size, material and color, and it lets you save your favorite pattern combinations to your hoop and computer. Astral Hoops also offers users the choice to download new designs: Bart Simpson, Hello Kitty or a ghost from Pac-Man. 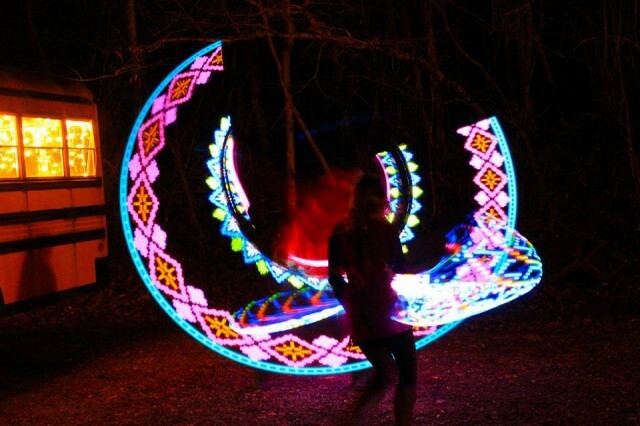 Do you need an LED hoop to be considered “modern?” No, says Tilly Whirls hoop instructor Leslie Perales. 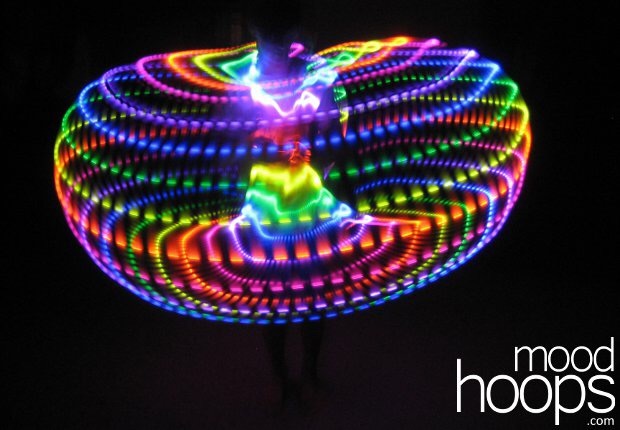 In fact, one of her favorite, well-known hoopers doesn’t even own an LED model. The key is to enjoy the experience, whatever hoop you use. 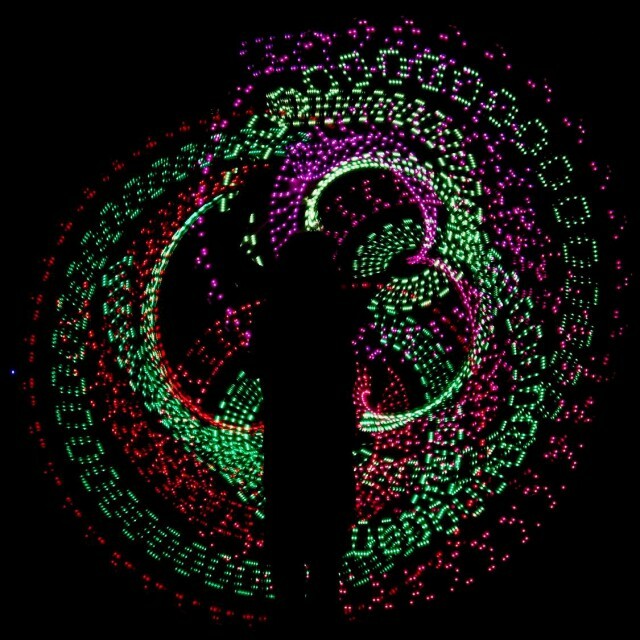 “One of the fun things about hooping is that it’s not about just doing a series of tricks,” Nolletti says, “but being able to create your own LED light show does make hooping extra magical. Just be prepared to fight off the little girls who will beg you for a turn. 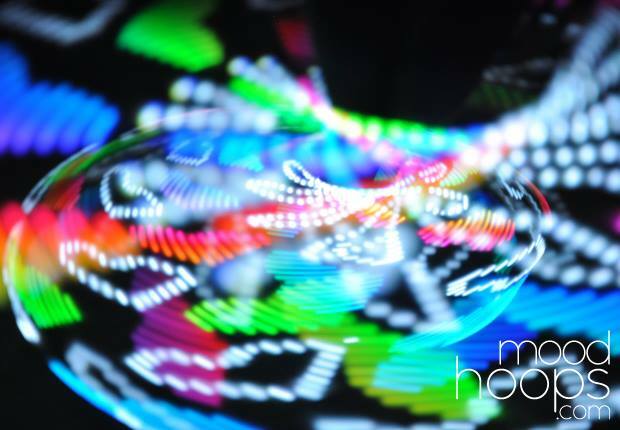 Enjoy some more stunning LED hoop imagery below. 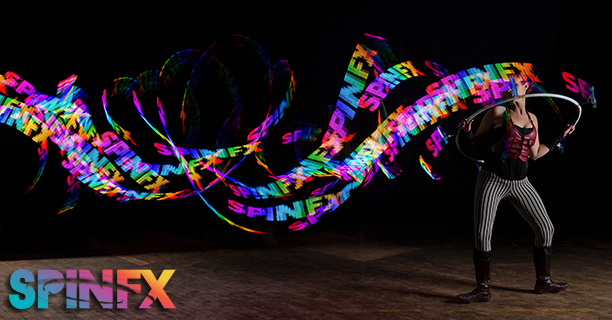 All images via MoodHoops, Astral Hoops and SpinFX’s Facebook page and website. 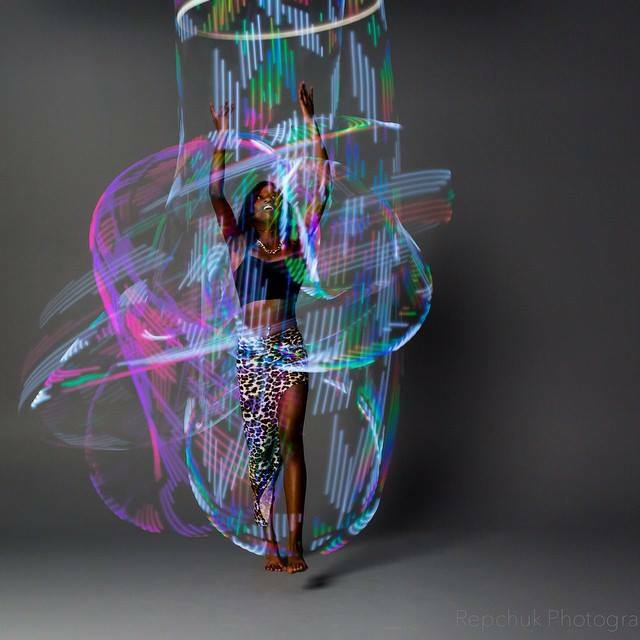 This is absolutely dazzling and I’ve never seen anything like it in hula hooping ever before. 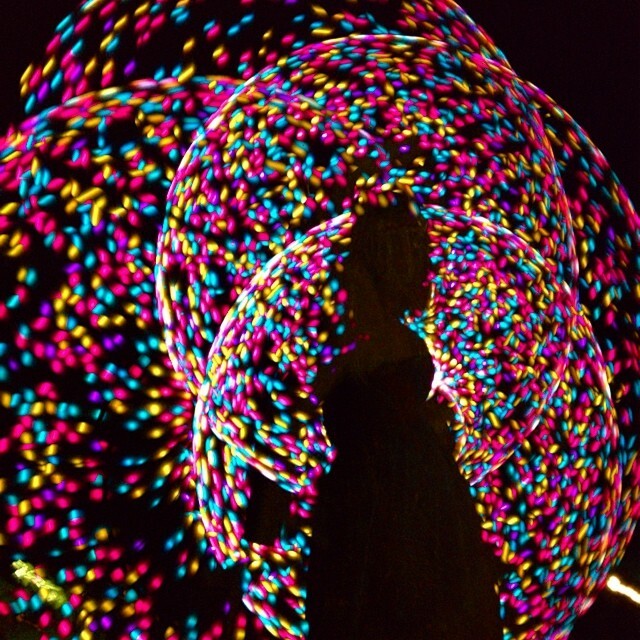 It must be a great experience seeing those awesome lights at play! Thanks for sharing!